PLEASE NOTE: We ALWAYS recommend that businesses replace disposable products with reusable ones. Waste reduction is the best way to handle your waste, followed by recycling and composting. Is there a way for you to stop using straws altogether, rather than looking for a compostable straw? Or coffee cup? Or plate? That’s the goal. If not, we’re here to help find the best solution. So what is a “Certified Compostable Product”? And is biodegradable the same as compostable? What is BPI? What is ASTM D6400? What?? We’d like to help clarify some of the confusion around Certified Compostable Products that you might find in your business’s waste stream and shed some light on the conversation in general. Let’s start by introducing the concept “greenwashing”. This is when businesses develop products that are either “green” in color, or “green” because they have leaves printed on them, but the products are not actually environmentally sustainable, or the entire story isn’t being told. Be mindful of greenwashing where you live, work and consume. Below we describe products that are actually compostable and not just pretending to be. These are the compost industry standards for products that are “ok to compost” in industrial facilities (more on this below). BPI is the most commonly used certification in the US, and the [[vert]] is the European standard. When compost facilities see these certifications, they know that the products should break down properly in their industrial-scale compost operations. ASTM D6400 is an industry standard that usually refers to compostable bags. We wish it were simpler, but there is no specific brand or material type that we can point to and honestly claim: “anything made by these guys, or anything made from this, is compost friendly.” Unfortunately there is just no broad-brush approach. Our best advice is to look for the BPI Certified Compostable stamp/icon whenever you’re purchasing items that you expect to send to a compost site. Also, if you’re not sure whether your coffee cup or to-go container is compostable, try looking on the bottom or side for these icons. Plant-based plastics, like PLA, (polylactic acid), are tricky. We’re not materials scientists, but here’s how it works. It is possible to make “plastic” out of plants, using the natural sugars found in plant cells. However, sometimes products say that they are “made with plant plastics”, but are still not “certified compostable”. It can be cheaper to mix plant-based plastics and regular petrochemical plastics together to make a fork, than it is to use 100% plant-based plastic. 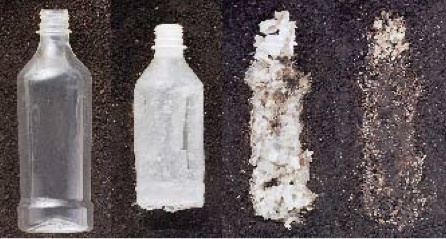 Once you get different types of plastics mixing together, the compostability of the final product goes out the window. You might see a product that says it is “made with plant plastic”, but you need to read the fine print to see that it is only x% plant plastic, and the remainder is regular PET (polyethylene terephthalate) or HDPE (high-density polyethylene) or another type of other plastic. The most difficult reality here, is that once you mix a normally recyclable plastic, like PET or HDPE, with a plant-based plastic, like PLA, it becomes nearly impossible to recycle that product. The market is now flooded with products that are either compostable or recyclable, and those frequently look identical to other items that are neither compostable or recyclable. Some compostable products look like they’re made of paper pulp. That’s because they are! Many compostable bowls and plates are made out of waste materials from other industrial processes. Bagasse, for example, is a byproduct of the sugarcane industry, which is now being used as a value-added product in the compostable product market. We’re excited to see these packaging innovations continuing to pop up! Many compost facilities are willing to accept paper-based Certified Compostable Products, because they break down faster than PLA. 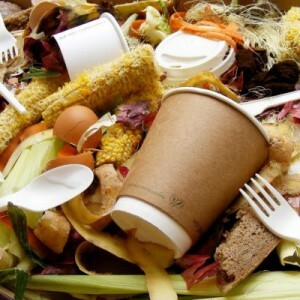 Fiber-based compostables can be less expensive than plant plastics, and they sometimes have a lower production footprint as well, because they can be made of waste products, rather than from virgin materials like corn. In an industrial composting environment, fiber-based compostable products act a lot like a paper product or another dry plant material, absorbing liquid and breaking down over time among other organics. So what is a business owner to do!? Inform yourself (if you’re reading this, then you’re already on the right track!). If you work with a compost hauler, make sure to confirm that the compost site they partner with can accept Certified Compostable Products. 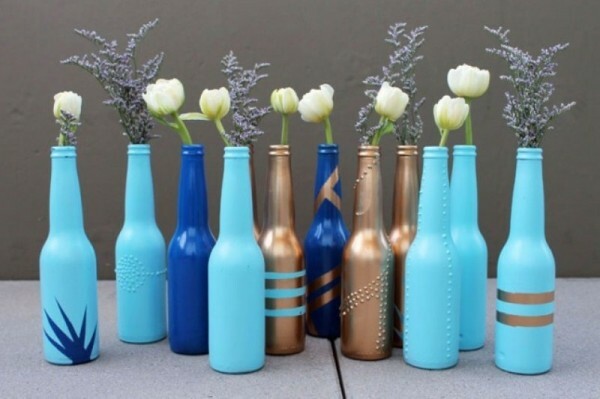 As an alternative, use regular-old recyclable plastic and metal products instead. Aluminium, when rinsed, is one of the most recyclable materials, so you might be better off simply ensuring that your aluminium recyclables are making their way to the proper facility. 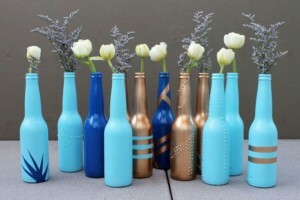 And of course, investing in reusable materials whenever possible is the absolute most eco-friendly solution.